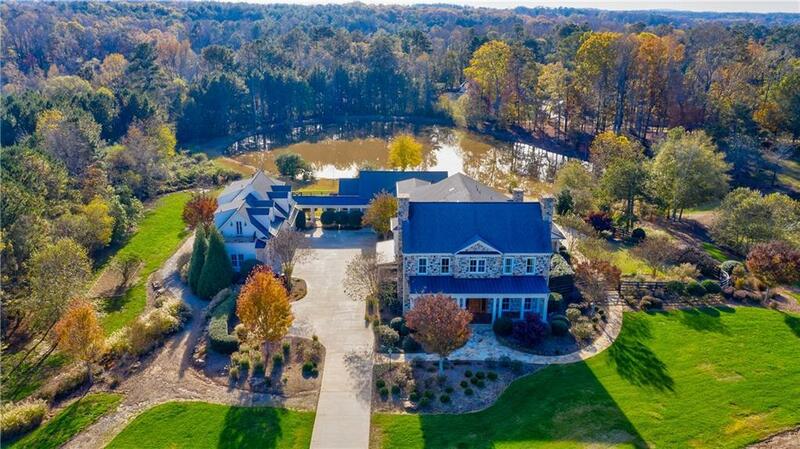 Beautiful state of the art equestrian estate awaits you in Milton! 22 gated acres close to downtown Alpharetta! Custom Home. Master on main, Chefs Dream Kitchen. Spectacular infinity edge pool, Spa,screen porch, fire pit, two ponds. Finished terrace w/media room, exercise room, family room, bar, wine room & safe room. Dream barn w/five stalls, climatized tack room, wash rack,apartment w/stone FP, beams, kitchen & bath. Plush green pastures, trails & arena. Control 4 Smart Home Automation System controls security, lighting, entertainment & energy, from your phone!